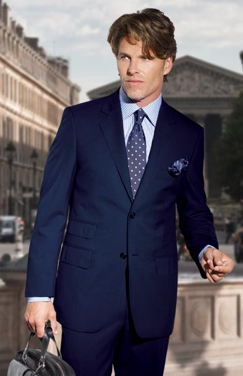 Every man who takes pride in his outfits and how he presents himself to the public knows that a suit is the ultimate facet of a structured and professional personal presentation to the world. 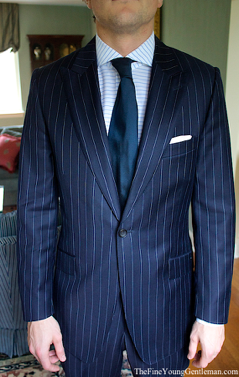 Every man needs a combination of the “Core 4” suits that are a necessity for every dapper man's wardrobe. 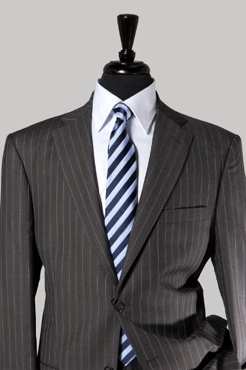 To begin or just strengthen your professional wardrobe the “Core 4” suits are as follows: A solid blue suit, a blue striped suit, a solid charcoal suit and a striped charcoal suit. These 4 suits enable a man to mix and match different styles and still continue to look sharp and dapper no matter the combination that one chooses. 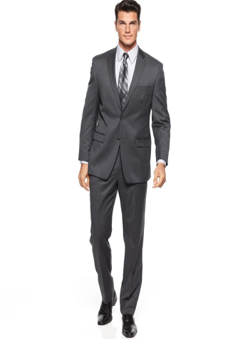 These four are basics for every man’s professional wardrobe.